A serious collision in Alderley Edge resulted in the death of three people. At just after midnight on Sunday 4 November emergency services were called to a two vehicle collision on the A34 Melrose Way in Alderley Edge. 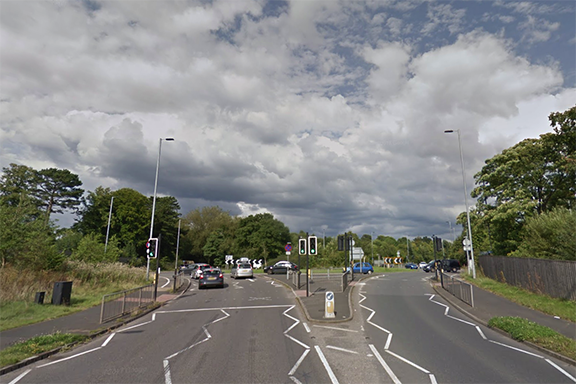 The collision involved a car and a minibus and a number of casualties from the minibus were treated at the scene before being taken to hospital. Sadly, two people, a man aged 47 and a 14-year-old girl – all travelling in the car – died at the scene and a third, a woman aged 41, died at the hospital. The three three people who died have been named as Liyakat Sidat, 47, Salma Sidat, 41, and Hajra Sidat, 14 – all from the Old Trafford area of Greater Manchester. Two others in the car – a nine-year-old girl and a 19-year-old woman – remain in hospital where their respective conditions are described as critical and serious. The family are being supported by specialist officers and have requested the the media to respect their privacy and to be left to grieve in peace. Anyone who witnessed the collision and has not yet spoken to police should contact Cheshire Constabulary on 101, quoting IML 231304.